A lovely garnet red in colour. 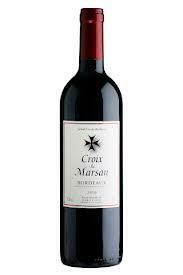 The nose evokes red berries and black fruit, with subtle toasted notes. The attack is supple, with a round mouthfeel and mellow tannins.This modern Bordeaux can accompany a great variety of dishes thanks to its fruitiness and suppleness. Ageing : During 6 months in American-oak barrels and 6 months in tanks.